One thing that’s a must-do each year for Charles and me is attending Anderson Valley’s International Alsace Varietals Festival. Not only is there a lot of amazing wine to try, there’s also an educational aspect to the event, which just makes it that much greater. This year’s highlights included a discussion on how pressing/skin contact and early intervention influence wine flavor, differences in vintage and vinification of single vineyard Pinot Blanc, a food and wine pairing showcasing Gewurztraminer, an appellation discussion about a family winery in Alsace — this was so great! — and a food demonstration of seared steelhead on a pool of cauliflower puree with caramelized onion butter by Chef Francois de Melogue. As always, each tidbit of the event was amazing, from the education to the Grand Tasting to the winery open houses the next day. It’s one of the highlights of our year, and we’ll make sure it stays in our yearly planner. 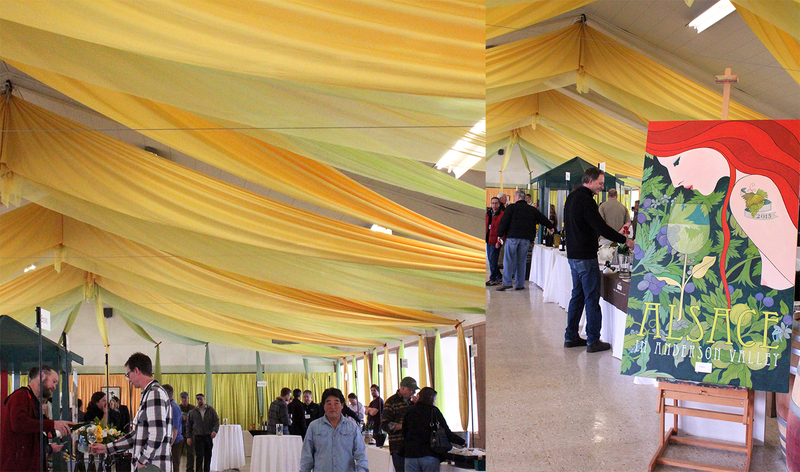 Thank you so much to the Anderson Valley Winegrowers Association for putting on such an amazing event! For a list of the places where we stay, eat, and drink, check out last year’s post. I’ll leave you with a collection of my photos from this year’s awesome festival.